BY NOW, we’ve all become used to the notion that true love — or even lust — is just a swipe away. But despite what rom-coms have people believing, women aren’t always looking for a man. Sometimes, we’re looking for women — new friends to be exact. After college, it can be difficult to make new female friends outside of our bubble at work and our already-set social circle. That’s where Olivia June Poole and Jen Aprahamian come in. 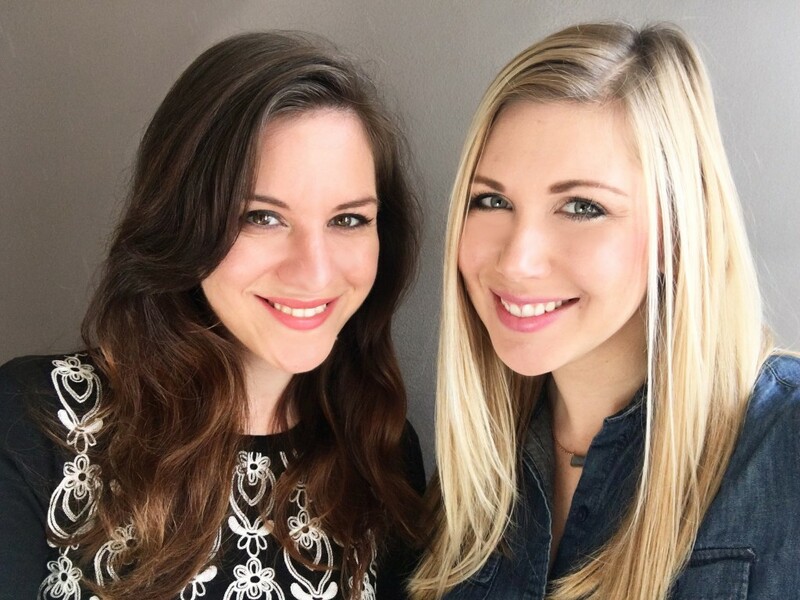 They’ve created VINA, an app for finding female friendship. Instead of inputting your location and age preference like dating apps, you take a Cosmo-like quiz that will match your interests and lifestyle to other women and make matches based on compatibility. Poole spoke with Lady Clever about how her background in social psychology helped her understand the importance of finding fulfilling friendships, their female empowerment blog, Lady Brag, and why finding female friendship and support via an app works! What inspired the idea behind VINA? The idea for VINA came out of a shared experience my co-founder, Jen, and I had at different points in our lives — it was hard to make friends and connect with other women while traveling, moving, changing careers, and experiencing the ins-and-outs of relationships. I co-created a women’s networking group in San Francisco called Ladies Who Vino to solve this problem, but there are a lot of downsides of trying to find friends at an event — everything from scheduling, to it being hard to know who you have things in common just by looking around a room — and it can be intimidating if you don’t know anyone there! I tried online dating on OkCupid and discovered it was successful in matching for personality compatibility, but not necessarily great for finding romance. 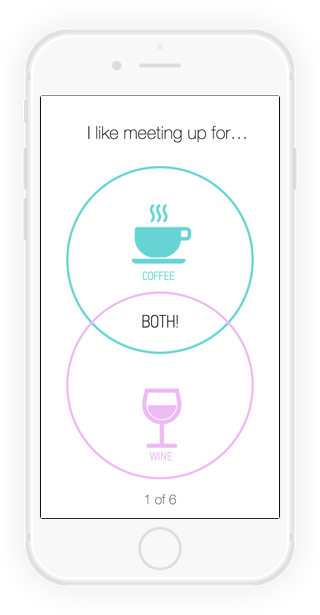 We thought it would be great to merge a chic, women-only social experience with the smart algorithms that software can provide. Have you conducted any research on why it’s more difficult for women to make new friends after their mid-20s? What were your findings? My academic background is in social psychology, so I’ve spent a lot of time researching and understanding the role of social relationships in our lives. It isn’t necessarily that it’s more difficult for women specifically to make friends, and it’s not about it being specific to your mid-twenties. Once you’re out of school — and even while you’re in school sometimes, we’re discovering — you’re no longer in an environment with tons of your peers with organized social times. Making friends as an adult gets harder because after a certain point, our lives move at different paces. Some get married and have kids young, some wait until much later in life, some focus on their careers, some continue their education, some travel the world — we become uniquely ourselves, and it’s important to have others in your life who are in the same place as you are. Making the app exclusively for women makes it easier for it to stay a strictly-platonic place, provides more safety, and allows us to focus on designing the experience for the way that women make friends specifically. The app is targeted to all adult women who want to make friends, and we have users from age 18-70 years old on the platform already! Why did you think that the same type of approach women use for dating would work in finding new friends? At the end of the day it’s about creating an experience for people to identify compatibility and to meet in real life. The main thing that differentiates a dating platform from a platonic platform is the messaging of the product and intention of the people using it. You and Jen worked together prior to VINA. What made you think that you would work well together co-founding your own start-up? One of the benefits of starting a company with someone you’ve already worked with is that you know the other person’s work style, have a shared work culture already, and know your communication patterns and expectations for the quality of their work. Jen and I met as colleagues, but quickly became friends, which is a great dynamic for a co-founding team. We also have really complementary thought processes and skill sets. What is your current goal for VINA? We’re focused on being the number-one way in the world for women to find and connect with other women. We want to be your go-to resource for finding both support and fun, anywhere you are in life or in the world. Did you deal with sexism from potential investors or people involved in the the tech world — based on the fact that you’re female or because your app’s mission is to help women find more friends? What’s the best piece of advice you would give to fellow women who would like to enter the tech or start-up spaces? Learn everything you can about technology and the popular philosophies in developing it. Read tech blogs (i.e. TechCrunch & Hacker News) and follow tech thought leaders on Twitter. What drives you to want to empower women? When you invest in women, the world as a whole improves. There is a ton of research supporting this. Isn’t making the world a better place the best thing you can strive to achieve? 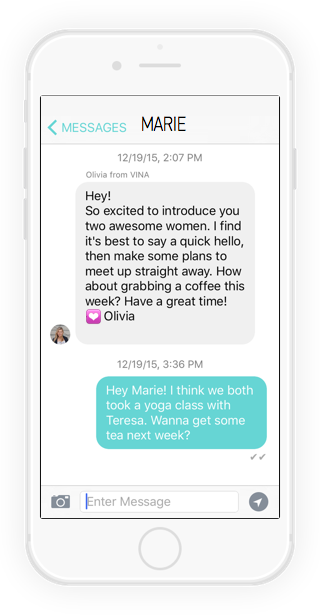 Download VINA for iOS at the App Store, and keep up with VINA on Facebook, Twitter, Instagram, and Pinterest. You can also follow Olivia on Twitter. Also, be sure to check out their female empowerment blog Lady Brag. Let us know your experiences with the app in the comments below!